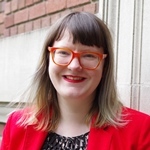 Linfield College has named Josephine Zarkovich, a Portland-based curator and arts writer, as the new curator for the Linfield Gallery. Zarkovich will oversee all aspects of programming for the gallery, including exhibition planning, community relations and special events. Prior to her appointment at Linfield, Zarkovich served as the 2012-2013 curator-in-residence for Disjecta Contemporary Art Center, where she organized a series of ambitious, large-scale exhibitions, including the first Portland exhibition by Bay Area artist Chris Fraser. She currently runs the Portland ‘Pataphysical Society, an alternative arts space located in Portland’s Everett Station Lofts, and is editorial director of 60 Inch Center, an art criticism website. At Linfield, Zarkovich hopes to continue her work of using challenging contemporary art to engage new audiences and foster critical discussions around popular culture. In addition to her gallery work, Zarkovich will also teach a course on Curatorial Practice and Exhibitions. The Linfield Gallery features exhibitions of regional, national and international stature, on view throughout the academic year in a 1,500 square foot space located on the Linfield College campus in McMinnville. Patrons can expect challenging shows that exemplify diverse approaches to the practice of contemporary visual art. All exhibits are free and open to the public. Gallery hours are Monday through Friday from 9 a.m. to 5 p.m., and Saturday from noon to 5 p.m. For more information, call 503-883-2804 or visit Linfield Gallery at http://www.linfield.edu/art/gallery-now.html.